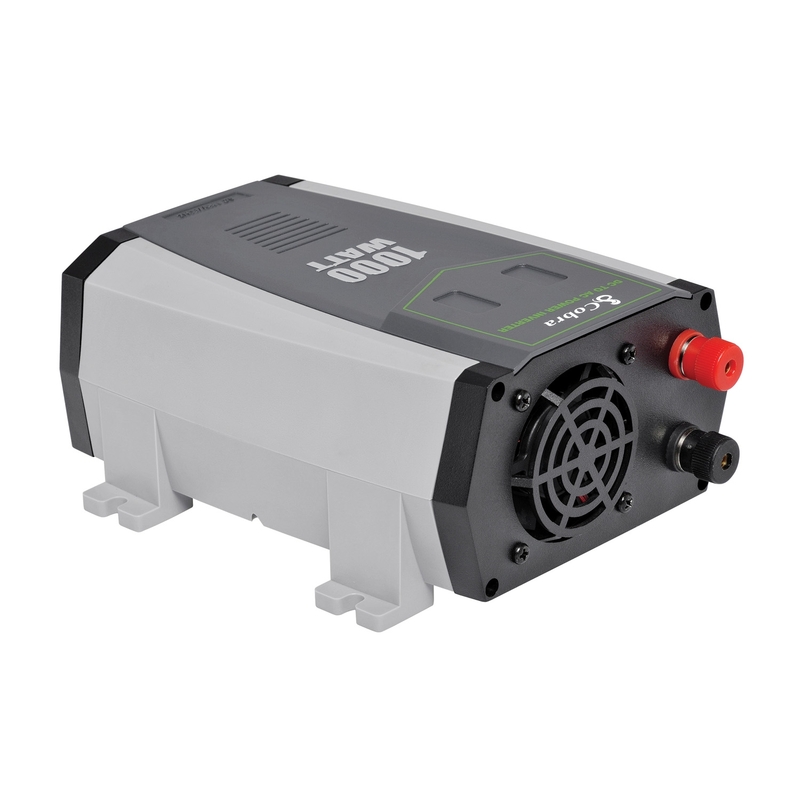 The CPI1090 10-14VDC - 115 VAC 1,000 watt professional grade modified sine wave power inverter with 2,000 watts peak is ideal for household appliances such as small TV sets, coffee pots, mini-fridge, etc. Great for trucks, RV's, boats and camping. Features 2 grounded AC outlets, LED volt/amp meter, 5 volt - 2.1 amp USB port which enables charging of MP3 players, smart phones, tablets and many other USB powered devices. The five level Pentagon Protection provides thermal shutdown, reverse polarity protection, over/low voltage shutdown and low voltage alarm to alert user. Comes with direct-to-battery cables. Can be operated On/Off remotely with CPIA20 (sold separately). Unit Dimensions: 8.0"x6.0"x3.25". 2 year factory warranty.